Strong, stable and easy-to-use, a hi-step hedge cutting platform is every gardener’s best friend. 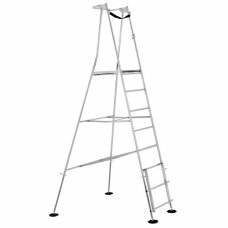 These adjustable ladders allow you to extend your reach without putting yourself at risk. More importantly, they’re designed for use on uneven ground and they can be moved around by one person - providing a safe and reliable platform for any hedge-trimming tasks. 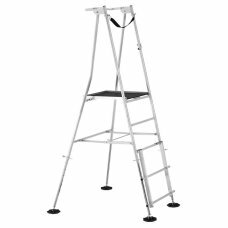 All of our hi-step ladders are produced by Henchman: A leading brand that supplies local councils, universities and organisations like the National Trust. 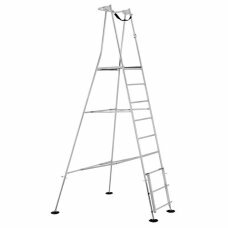 All of the products in this range boast cutting-edge safety features; from non-slip rungs to special guard rails that’ll let you work with both hands. They’re also fully compliant with both GPSR 2005 and WAHR 2005 regulations. 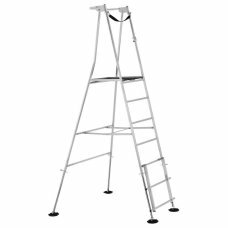 The Henchman Hi-Step range of garden ladders is the garden ladder of choice by not only professional.. 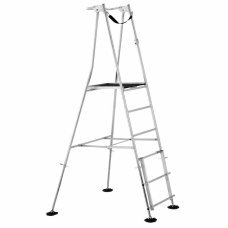 The Henchman Hi-Step range of garden ladders is the garden ladder of choice by not only professiona..